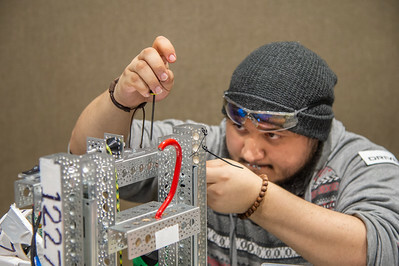 Roland Villarreal works on his robot. 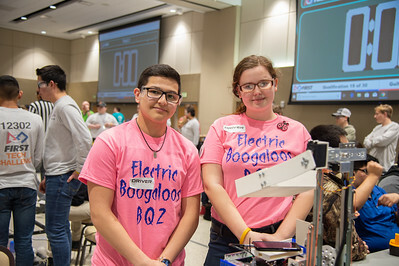 Amado Lazo (left) and Eternity Parker of Electric Boogaloos. 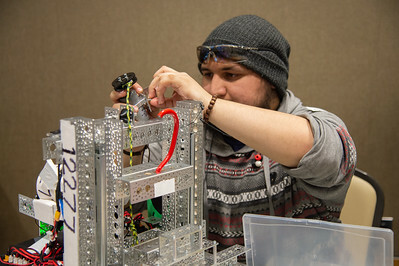 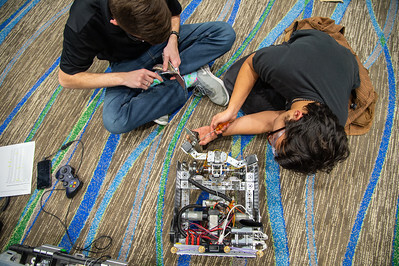 Brian Colburn of the Enginerds works on his robot before competition. 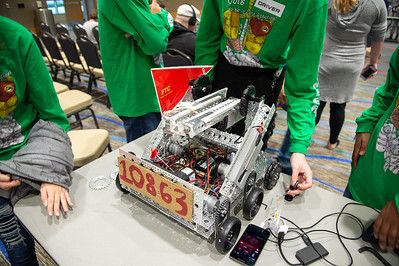 Team Droid Rage work on their robot before the competition. 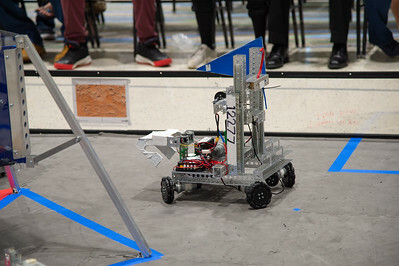 Team Jacket-Up make the final tweaks to their robot. 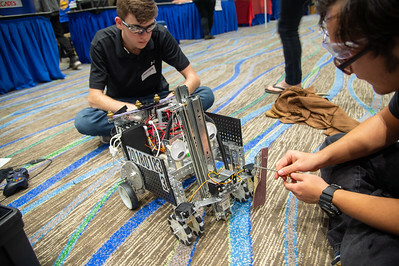 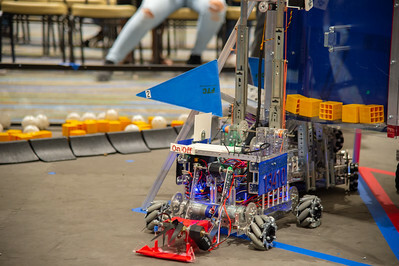 Team Ranger Robotics adjust their wheels before the competition. 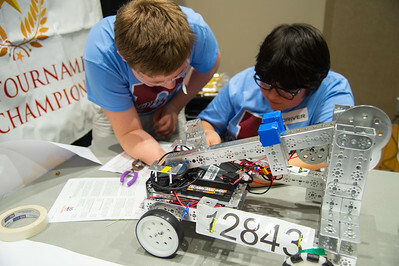 Team Droid Rage 2 repair their robot. 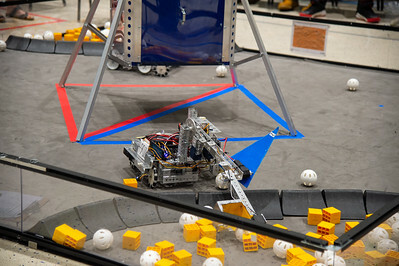 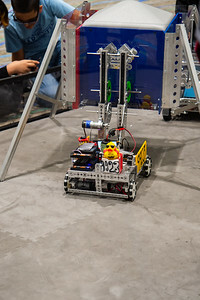 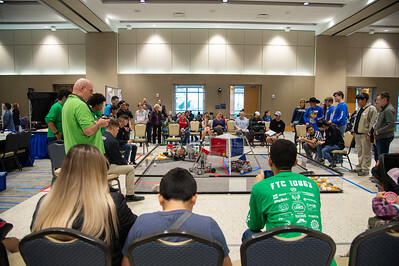 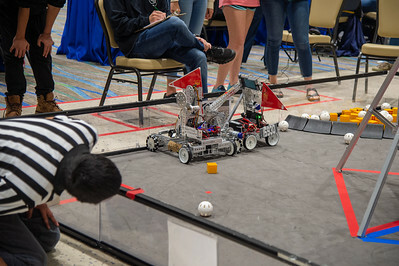 The Enginerds test out their robot before competition. 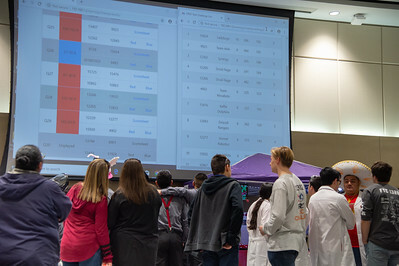 Team Synergy look in joy as they find themselves in third place. 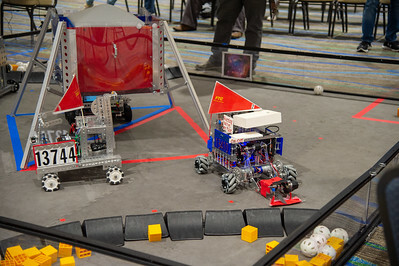 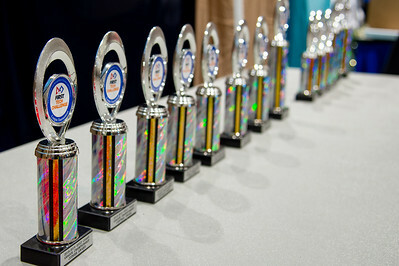 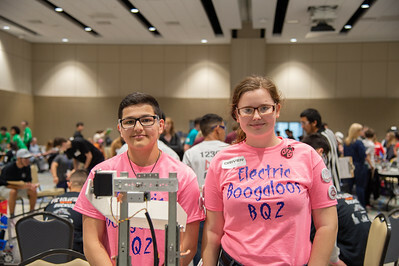 The Enginerds and the Electric Boogaloos compare their robots as they wait in queue. 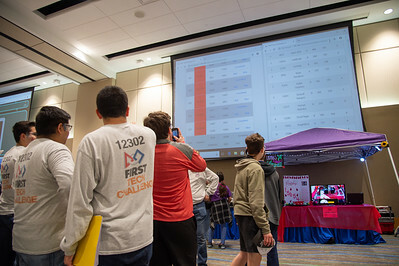 Coaches and students alike gaze in hope at the leaderboard as the day concludes.